There is a great deal of information available on ADHD. What a gift, yet how confusing, all at the same time. I invite you to take the perspective that your life depends on the quality of the information you use to make decisions on how to manage your ADHD. There are many options for building your team of success partners when living with ADHD. Take yourself seriously and check each resource out thoroughly. On this page is a list of suggested resources as a starting point. In addition, click here to get a free copy of one of the most requested handouts of the Indianapolis Adult ADHD Support group. 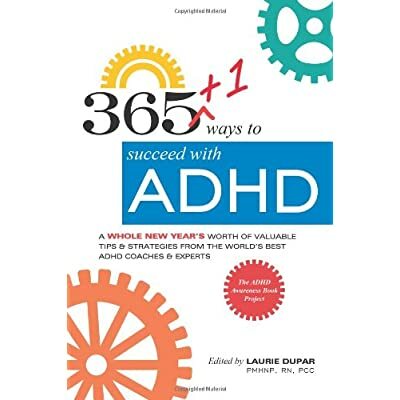 Lisa Boester is a contributing author to 365 +1 ways to succeed with ADHD. Co written with other amazing individuals who strive to serve each and everyday to improve the lives of people with ADHD. A PERSON WHO SHOWS UP SOLELY FOR THE PURPOSE OF SUPPORTING YOU IN GETTING SOMETHING DONE. 1. Your project plan can be task or time oriented. For most with ADHD, short periods of time work best for peak performance when organizing and decluttering. Experts recommend 1 – 2 hour chunks of time. 2. Task oriented means your goal is to COMPLETE a specific project. If it is a large project, break it down into smaller projects. Do not over analyze. You will become paralyzed and do nothing. 3. Understand that you cannot have a system if you have clutter. You must create space both mentally and physically for a system to work. 5. Take a picture of before and after. 6. Do not purchase organizing containers without a very specific need. Know the size, shape, future needs and function before you purchase.